Put your horse sense to good use when Tradewinds Park & Stables offers its popular annual Summer Horse Camp. The program, for ages 9 through 16, runs from 8:30 a.m. to 4 p.m. starting on June 6 and ending on August 11. Class size is limited; early registration is recommended. Fees must be paid and a release and waiver of liability signed at registration. Children must provide their own lunches and refreshments. Long pants and closed-toe shoes are required. Participants should also bring a hat, sunglasses, sunscreen, and a towel. For more information, call the stables at 954-357-8720. Tradewinds is accessible via Broward County Transit Route #34. Every summer Fern Forest Nature Center in Coconut Creek offers week long summer day camps for ages 8 to 11. This year Nature Detectives will run from 9 a.m. to noon on weekdays, June 20-24 and August 1-5. Each day focuses on a different theme, with participants exploring the nature center’s habitats through hands-on experiences, crafts, and other activities. The fee is $75 per camper for the week, and preregistration is required. For more information, call Fern Forest at 954-357-5198. A love of science doesn’t equal geekdom, as your kids will learn if you sign them up for Science Eye Safari Camp at Tree Tops Park in Davie. Campers are immersed in the roles of a scientist making observations, conducting experiments, engaging in field studies, and more. By participating in fun, interactive, hands-on projects, they’ll learn to explore the world around them to gain new insights and become aware of why it’s important to take care of the environment. Each day is a new adventure at this day camp for ages 7 to 12, which runs from 9 a.m. to 4 p.m. daily the weeks of June 20-24, July 11-15 and 25-29, and August 8-12. The fees are $300 per child for one week, $575 for two weeks, $850 for three weeks, and $1,125 for all four weeks. Preregistration is required by the Friday prior to the first day of camp. The fees include field trips on Fridays, along with lunch and a snack daily. After-care is available from 4 to 5 p.m. for an additional fee. For more information, call 954-680-7977, email Camp@ScienceEye.com, or visit ScienceEye.com. 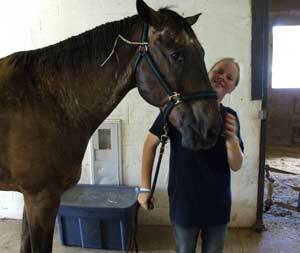 Are your children interested in horses? Do they keep asking for a pony? Equestrian camp is an opportunity for children ages 9 through 16 to get real experience caring for horses on a daily basis. There will also be riding instruction (weather permitting) and instruction in grooming, saddling, horse care and maintenance, tack and equipment, and other activities. The camp is offered in one-day, two-day, and four-day sessions: June 8, 9, 10, and 11 for one-day camps; June 15-16, 17-18, 22-23, and 24-25 for two-day camps; July 6-9, 13-16, and 20-23 for intermediate four-day camps; and Aug. 3-6 and 10-13 for advanced four-day camps. Camp is from 8:30 a.m. to 4 p.m., rain or shine. Camp fees are $75 per day, $150 per two days, and $300 or $400 per four days, depending on the level. All camp participants must wear long pants and closed-toe shoes. Participants should also bring a hat, sunglasses, sunscreen, and a towel. Students must bring their own snacks and lunch. Space is limited. To find out more or to register your child, call 954-357-8720 or 954-357-8870. SCIENCE – the power to change the world! If your child likes science, then we have the camp for him or her. Campers are immersed in the roles of a scientist making observatio ns, conducting experiments, engaging in field studies, and more. By participating in fun, interactive, hands-on projects, they’ll learn to explore the world around them to gain new insights and become aware of why it’s important to take care of the environment. The summer day camp runs Monday through Friday from 9 a.m. to 4 p.m. in June, July, and August. The fee is $300 per camper, and preregistration is required. This includes field trips on Fridays, along with lunch and a snack daily. After-care is available from 4 to 5 p.m. for an additional fee. There are also discounts for children who enroll early, in multiple weeks, and for families with multiple children. For more information, visit the Science Eye Website, call 954-680-7977, or email Camp@ScienceEye.com. Let your child have fun and enrich him/herself academically at this camp for ages 6 to 11. Activities include field trips, theater, fitness, nature walks, dance, and science. The camp runs from 8 a.m. to 5 p.m. weekdays, starting in June and ending in August. For more information, call the park at 954-357-8898, or visit Goals2Learn.com. This summer day camp offers weekly sessions, Monday to Friday, in July and August, for ages 10 to 16. Each day’s program runs from 9 a.m. to 2 p.m. Fees: $95/day, $275 for the full week. Activities include wakeboarding, wake surfing, specialized classes, games, and a barbecue on the final day. Call 954-429-0215 for additional information. If your child would like to explore nature this summer, consider Nature Detectives at Fern Forest Nature Center, an adventure for children ages 8 to 11. Weekly sessions run June 22-2 6 and August 3-7. Each day’s program runs from 9 a.m. to noon, with different topics daily. The fee is $75 per child for the week. Parents can preregister by phone at 954-357-5198 or in person at the nature center. Payment is expected at the time of registration. Space is limited. 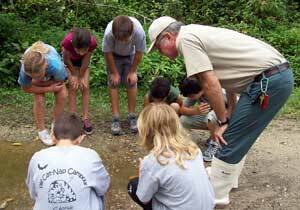 Science and nature come together in this camp for ages 7 to 13. Activities include fishin g, boating, zip-lining, archery, science survival, robotics, field exploration, and hands-on science experiments. The program is offered in four two-week sessions in June and July. Campers may attend one session or any combination of sessions. Hours are 9 a.m. to 4 p.m. on weekdays; dropoff will be accepted no earlier than 8:45 a.m., and no after-care is available, so prompt pickup is required. Space is limited and enrollment is on a first-come, first-served basis. Visit WackyWild.com for the required registration forms. Fees are $450 for the first session and $390 for each additional session. For more information call 954-562-6803.